It's cold season again and it's time for us to bundle up and keep warm. What keeps us cozy even when it's negative degrees outside is through the warm clothing we wear, the sock we wear and of course the scarf and a hat that gives us not only warmth but also a way to be stylish, even when we bundle up. 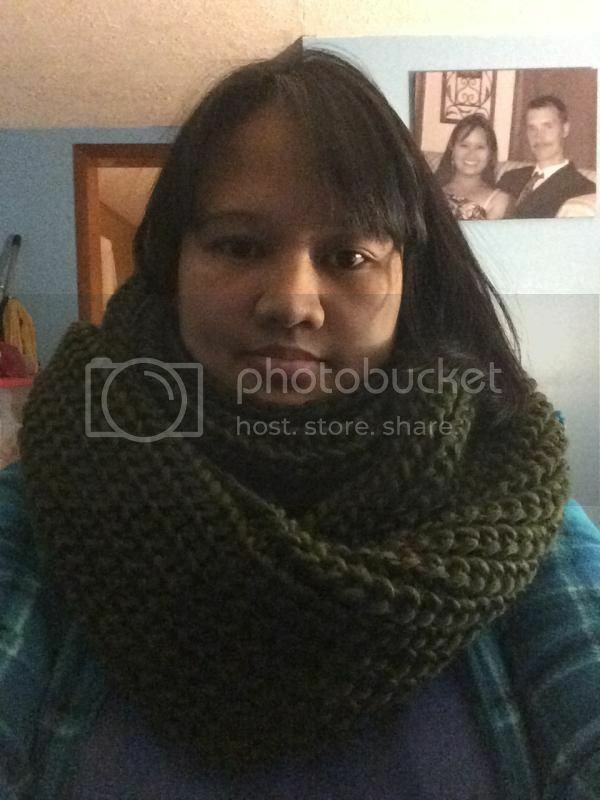 I received the GREEN SOLID RIBBED INFINITY SCARF, value of $12.99 and the GREY BEAUTIFUL STRIPED BEANIE WITH FLOWER APPLIQUE, value of $12.19 sponsored by CoverYourHair. They carry so many head accessories that you might want to acquire. I'm blessed to try their new scarf and beanie hat online. The products came in the mail in a secure plastic envelope, no ripped and I see that the packaging is protected. The Infinity Scarf indeed has a high-quality fabric. 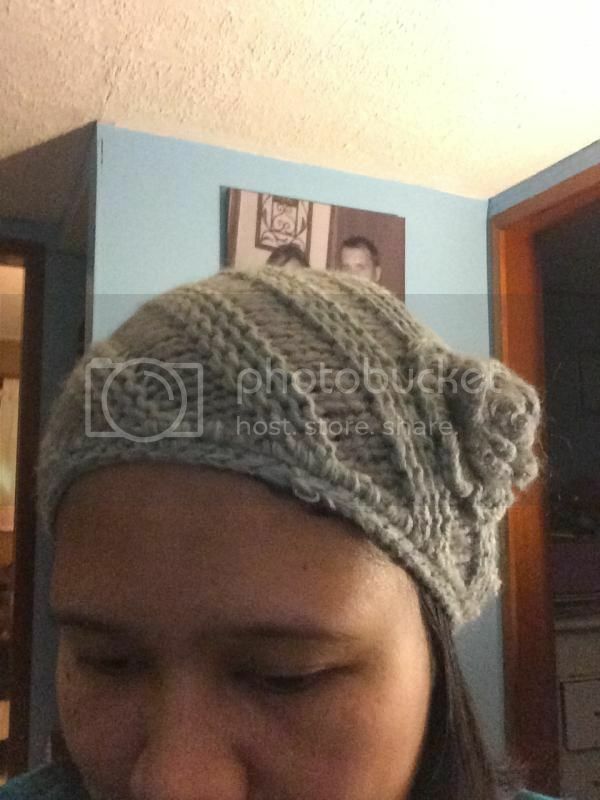 I do knit and so I know what are the high-quality kind of yarn/fabric that's being used towards the product or not. The infinity scarf is also well made, very comfortable, snugs the whole neck and does keep you warm and stylish as well as the volume of the scarf. The Beanie Hat is also amazing, I love how wonderful, it's been crafted perfectly with that dashing flower on the top. I received great compliments about the Beanie hat and the infinity scarf, which they thought I created, but didn't. I directed them to Cover Your Hair website to see the awesome collections they bring. I adore their merchandise ever since I tried one, the best thing is that the quality it matters and so far I'm always satisfied and happy with each product I received. I would say, this is another way to get for your friends, sisters, or daughters on the upcoming occasion. A perfect holiday gift guide to share with you. They also got Holiday Styles that you might want to check out which is all free shipping and more. #CoverYourHair is giving away an awesome prize to 1 of my lucky readers/followers. You must be at least 18+ years old and a US residents only. I will be hosting the giveaway starting Dec. 17, 2014 and Ends on January 16, 2015. A great accessory you'll get for free once you win next year. For more information, please visit Cover Your Hair website to see more exclusive offers they have. Take advantage of the 20% off discount they offer to you, please apply "blogdec31" at the checkout, it will expire on January 1, 2015.
i love the WARM CROCHET WIDE HEADBAND in black! These are lovely! Would be perfect to use in our Frozen tundra hehe!